Calling all men! 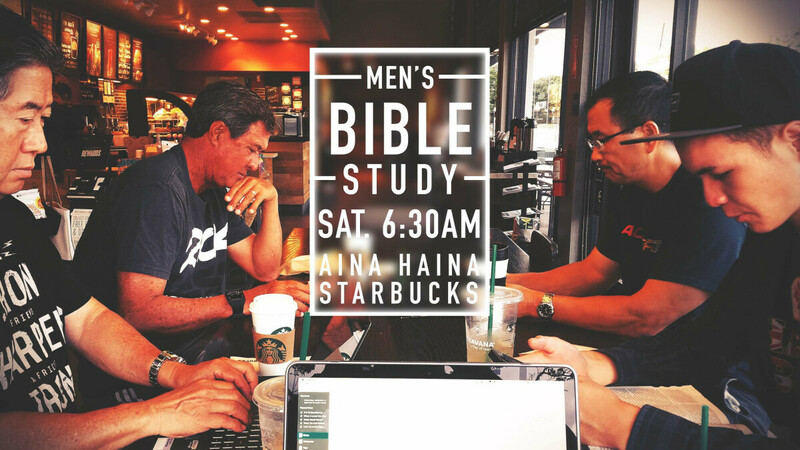 We’ll be getting into the Word together so bring your Bibles, notepad, ipads, computers or whatever you feel comfortable with to do some devotions. If you’re new to this, no worries, we’re all in this to help each other out to harvest the gems that God is speaking to each of our hearts. One of the main purpose is to lift each other in prayer so we can bring our petitions to our awesome Father in heaven. You are also more than welcome to extend this invite to others who we missed or may be interested in growing in the Word. Also, no need to RSVP, just come as you are. Please contact Roy Noda for more info 722-2821. Life Devotional Groups consists of people who meet to read the Bible together, write in their journals using the SOAP method, and share their devotions. Take time reading and allow God to speak to you. When you are done, look for a verse that particularly spoke to you that day, and write it in your journal. This can be as simple as asking God to help you use this Scripture, or it may be a greater insight on what He may be revealing to you. Remember, prayer is a two-way conversation, so be sure to listen to what God has to say! Love Jesus. Disciple People. Serve the Community.